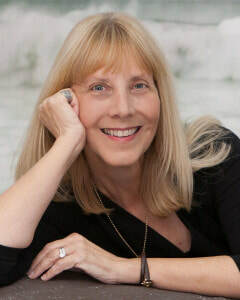 Nancy Powichroski Sherman is an award-winning author of short stories. ​Two of her stories, “The Sound of a Tree Falling” (2007) and “The Gypsy Heart” (2011), were published as first-place winners in Delaware Beach Life magazine. Two more stories, “Why You Trashed Vera Wang” and “No Magic Words,” were chosen for The Beach House anthology (2013).Her own collection of stories, Sandy Shorts, recently received a first place award from the Delaware Press Association. Though short fiction is her forte, Nancy and a co-writer colleague are under contract with Tuscany Press for a YA novel that earned first place in a contest run by that publishing house. Nancy has a BA in English/Speech/Drama from Towson University (1973) and an MA in Theatre from UM College Park (1992). She taught composition and theatre for 32 years with Baltimore County Public Schools, and she designed and ran the theatre magnet program at Patapsco High School and Center for Arts. After her first retirement, she taught acting and improvisation at Stevenson University, composition at Del-Tech, and acting and improvisation for Clear Space Productions. Now, in her second retirement, she is an Adjunct Professor for Stevenson University for whom she teaches an online course she designed for the GPS program.